The planning application for the BHS site (104-110 Broadway) has been submitted. As you’d expect it’s a long and detailed document with a lot of technical information which needs careful study. The height will vary. From the drawings it looks to be retail plus 6 floors at The Broadway end and retail plus 10 floors at the Singapore Road end. You can find the full details on the Council’s website and comments need to be in by 1st January 2016. 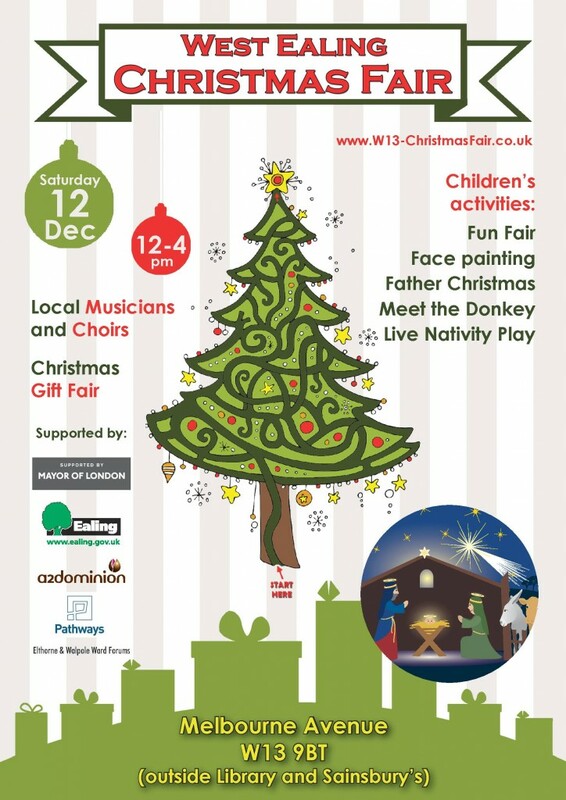 Christmas comes to the heart of West Ealing on Saturday 12th December when the annual Christmas Fair takes place in Melbourne Avenue, right in the centre of West Ealing between the library and Sainsbury’s. The spirit of Christmas is captured with the return of the much-loved Charlie the donkey who will be touring the streets from 11am before leading the nativity players in the Fair’s finale. 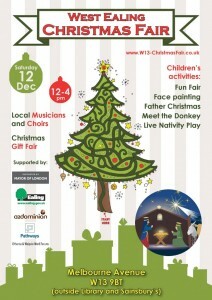 Especially for children there will be face painting, funfair rides and, of course, Father Christmas handing out gifts. We have a wide range of musicians and singers performing including the Ealing Rock Choir, Capital Chorus along with a choir from St Johns and St James churches plus The Mermaids and local favourite Robert Hokum. The Christmas Fair also offers everyone the chance to buy locally made Christmas gifts ranging from cakes, confectionery, apple juice & chutneys to jewellery, skincare & fragrances, cards and many other gifts.